Some of the most popular and viewed posts I put on this site are in the series ”POSTCARDS FROM…”where I post snaps from places I happen to visit or pass through. These are mostly places in Ireland where I live. Many of them are a little off the beaten track, almost in a hidden Ireland but all are ‘Real’ Ireland. I have created a new page on my site where I will place links to the posts in the series. The list will be added to from time to time. I hope you will enjoy! The link to the page is HERE , but below is a list of all the places so far! The Bangor Bell, The Lough Lene Bell and The Cashel Bell. On a recent visit to Limerick’s Hunt Museum to attend a lecture I was very pleased to discover a temporary exhibit of three very impressive bells. Bells have always had a certain attraction for me, from way back when the clock of the local Church of Ireland would ring out the hours, and when the Angelus bell on the local Roman Catholic church would peal across the miles three times a day. In fact family lore has it that I acquired my name as I was born at 8 am on March 25th, to the sound of the Angelus bell ringing. It’s a nice story! Later in boarding school,bells took on a whole new meaning as they were used to wake us in the morning, during daily Mass to attract solemnity, to signify the end of the overnight silence at breakfast, to signal the end of each class during the school day and as a call to evening prayer at the end of the day. Later still, I was totally captivated by the peals of church bells in London on Sunday mornings as they rang out joyfully across the city, a sound I love and miss to this day. The three bells in this small exhibition are hand bells, weighing a hefty 10 kg each. They were probably used by monks as a call to prayer. The Bangor Bell dates from c.825 and was thought to have been hidden from Viking invaders and rediscovered centuries later. The Lough Lene Bell, on loan from the National Museum of Ireland dates from the 7th century while the Cashel Bell dates from about the 9th Century. These three bells are thought to be the oldest bronze castings in existence. How wonderful it would have been to have been able to hear them ring! Irish in the American Civil War Needs Your Votes! 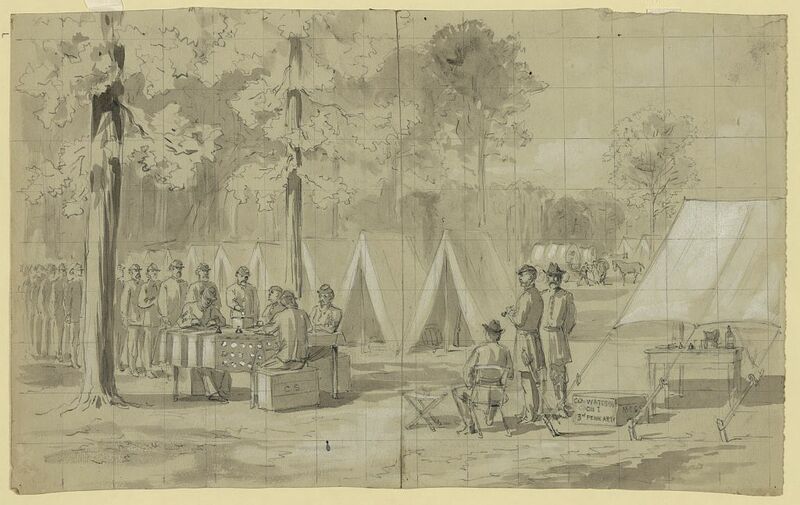 An exceptionally well researched blog that highlights the lives and fate of hundreds of thousands of Irish emigrants who were caught up the American Civil War, that is researched and written in the author’s spare time. He has revealed a very important resource for genealogical reserach, historical research and social history research that remains largely unstudied! If you can take a few moments to vote for this blog in the Blog Awards Ireland 2015, it would be much appreciated! Thank you! I am pleased to say that the Irish in the American Civil War has been shortlisted in two categories for the Blog Awards Ireland. Many thanks to those who nominated the blog for the long-list initially, and to all of who you have taken the time to read my posts over the last five years. The next phase of judging will select the finalists for the awards, and includes a public vote element which accounts for 30% of the overall mark. Although perhaps not quite as vital a vote as that 1864 example illustrated below, I would still be very appreciative of your support! If you are so inclined, you can vote for the site in the Education & Science category by clicking here and in the Art & Culture Category by clicking here. I have also added links to the voting areas in the blog’s sidebar. I am really honoured, not to mention thrilled, that my blog, The Silver Voice from Ireland,has been short-listed for the 2015 Blog Awards Ireland in the Education and Science category. I am very grateful to the people who nominated me for the long list, and above all am so very grateful to the tens of thousands of you who have visited my blog over the last few years. The next stage of the judging includes public voting that accounts for 30% of the total mark. Voting takes place over the next week or so. I would very much appreciate your support if you feel so inclined. Voting can be done here or also from the icon on the right side on my site. In fact I have been short-listed in the same group as blogs I admire greatly and have nominated myself, because they have been particularly inspirational and supportive to me as a novice blogger, You might like to take a look at their pages too! They are Irish in American Civil War which can be seen here and Limerick Life’s blog that can be seen here. In any event,thank you so much to everyone who drops by to read my pages and who takes the time to comment. You are very much appreciated! It is not the winning, but the taking part that counts! As a result of the Women’s Way magazine article on Silver Surfers about which I wrote here, TV3, one of Ireland’s National TV Networks, invited us to take part in the The Seven O’Clock Show last night. So it was with a lot of butterflies in my stomach that I headed off on the three-hour drive to the Dublin Studios. Marie Corbett, who featured in the article with me was quite honestly the most charming,funny lady I have met in a long time. It is easy to see why she is the pin-up girl for Age Action and seems to have an endless list of photo shoots and meetings with important people ,such as TV personalities and the President of Ireland no less! 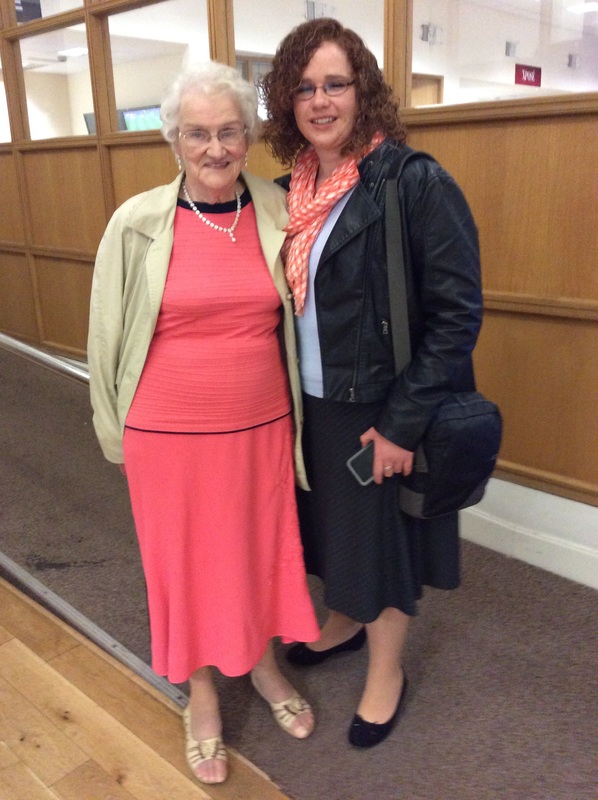 Marie began her cyber-career with the Age Action ‘Getting Started’ programme. Her daughter and grandchildren had moved to Armenia and with unreliable postal and telephone services,she was offered a second-hand computer to keep in contact with her family. Determined to come to terms with this new fangled technology, she says she challenged her very patient tutor, but I am certain he would have found her such a tonic that he loved showing her the ropes! Marie was awarded the ‘Most Dedicated IT Learner’ in Age Action’s 2009’s inaugural Silver Surfer awards. Enthusiasm is her middle name and she so deserves to be the Queen of the Silver Surfers in Ireland. Marie with her lovely grand-daughter Adele . It was a lot of fun being in TV3 studios – everyone we met from the receptionist at the door to the janitor when we left, was friendly and welcoming.The programme team were just lovely, very positive, very reassuring as indeed were the programme hosts, the beautiful and witty Lucy Kennedy and the very popular Martin King. It is not often that older people get to feature on national television,so a A big ‘THANK YOU’ to The Seven O’Clock Show for having us there to hear why we embraced the internet and how it has been life changing for us. Hopefully we inspired others to make the leap and get engaged with modern technology and social networking. Age Action continues to organize ‘Getting Started’ programmes across Ireland to encourage older people to become familiar with this remarkable resource, right there at your fingertips! The Irish Silver Surfers Queen and myself ! Marie and I are very conscious of the fact that we would not have enjoyed the success that we have had without the extraordinary work and dedication of Age Action, a charity for older people, that not only advocates for older people, but gets involved in the practical side of things too! The programme can be viewed here for about two weeks from now, September 8 2015. Our segment is at about the 12 minute + point. Lots of ads! This very arresting title headlined an article in Woman’s Way magazine in which I was featured a couple of weeks ago, resulting from an interview/long conversation with the journalist Arlene Harris. Arlene was trying to discover how the lives of people have changed since our younger days and how they are so different to the lives of younger people today, and indeed older people of just a few decades ago because of our attitudes and most of all because of modern technology. Being featured with Marie O’Gorman, the renowned Skype Queen and great-grandmother was a real privilege. Imagine teaching your grandchildren to knit on Skype! Marie is a great example of someone who grasped modern technology with both hands, knowing that it would enhance her life and reduce social isolation and shorten the distance between her home in Ireland and her daughter’s home in Armenia. My own life has been totally transformed by social media and I am fortunate to have as close friends people who live in Australia and the United States. I have met some of these wonderful people in person, and it is as though we have known one another all of our lives. One very special lady has visited me in Ireland and stayed at my home, while I meet other followers on social media on a regular basis at events and confereces across the country.. The encouragement and support of other social media users is phenomenal and can only have a positive effect on older people who may otherwise be living in social isolation. I am very grateful to Age Action for the inspiration and encouragement to keep going as a ‘Silver Surfer’ and for the excellent programmes they have in place to encourage older people to engage with technology especially through their ‘Getting Started’ classes that run across Ireland. Age Action also co-ordinates U3A , which is an abbreviation for University of the Third Age. I like to think of these as ‘Discovery’ programmes for older people where we can learn from our peers in the University of Life by sharing skills and life experiences. Bingo and sing alongs are wonderful for many of our generation but are not for everyone. How about outings to historic places, museums, art galleries,concerts, theatre events,long walks or short holidays abroad? The world really is our oyster! And a huge ‘thank you’ to Woman’s Way for featuring Silver Surfers and spreading the message of a whole new world that is there to be explored in our later years! ! 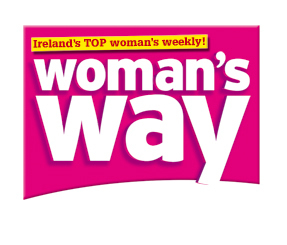 The text of the full Woman’s Way article can be read here 180815 Women’s Way article. (Published with permission). My photo is by the very talented Eva Birdthistle in Limerick .